Delicious Thai flavours created with fresh local produce – Charm Thai Restaurant in the Busakorn Wing serves up an unforgettable dining experience. 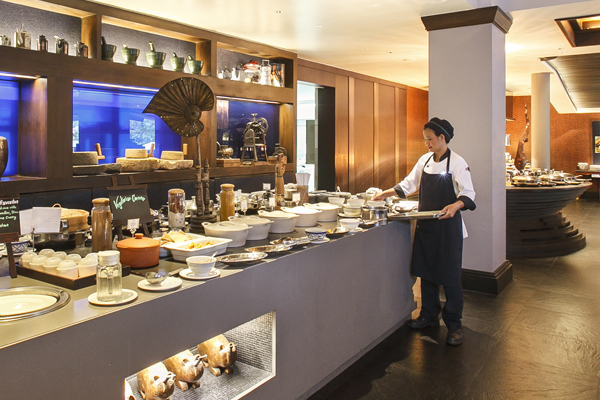 Chef Pittaya and her team prepare authentic local recipes including pad Thai, Tom Yum soup and delicious curries served in a modern Thai-style setting. 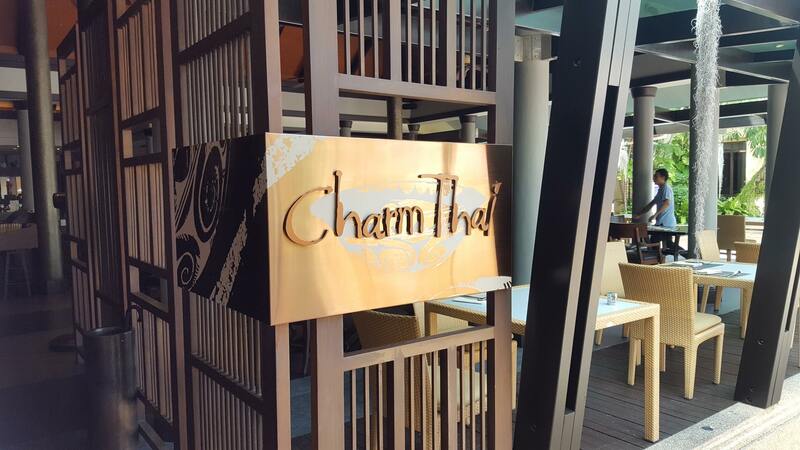 Set in a breezy open-air sala by the pool, Charm Thai is the perfect place for a romantic evening meal. 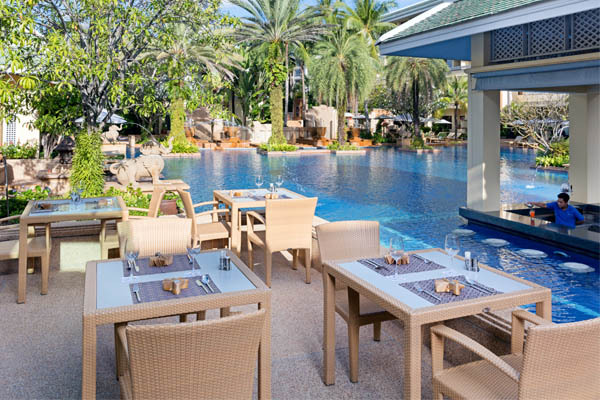 Charm Thai also offers a lavish breakfast buffet spread, offering a delectable array of Asian and Western favourites, tropical fruits and bakery items, as well as a lunch menu for refuelling by the pool.